John Harrell in HENRY VIII. Photo by LAUREN D. ROGERS. 2013. Abbi Hawk and René Thornton, Jr. in HENRY VIII. Photo by LAUREN D. ROGERS. 2013. 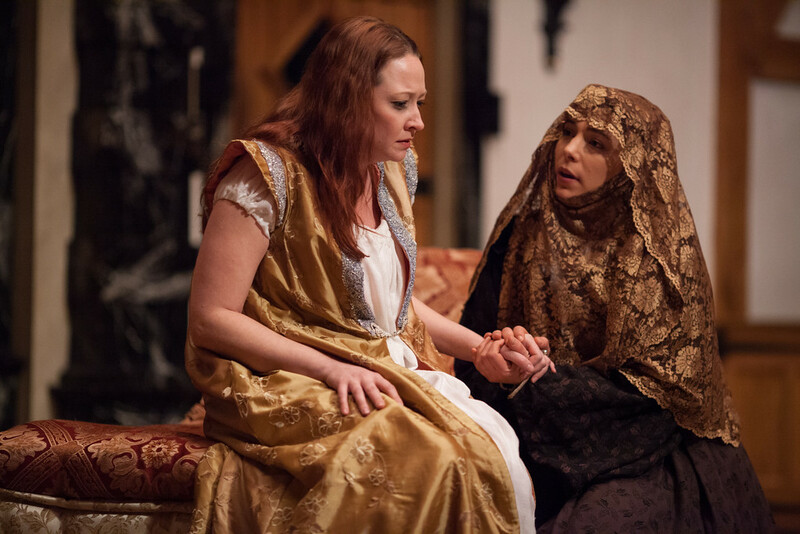 Tracie Thomason and Allison Glenzer in HENRY VIII. Photo by LAUREN D. ROGERS. 2013. 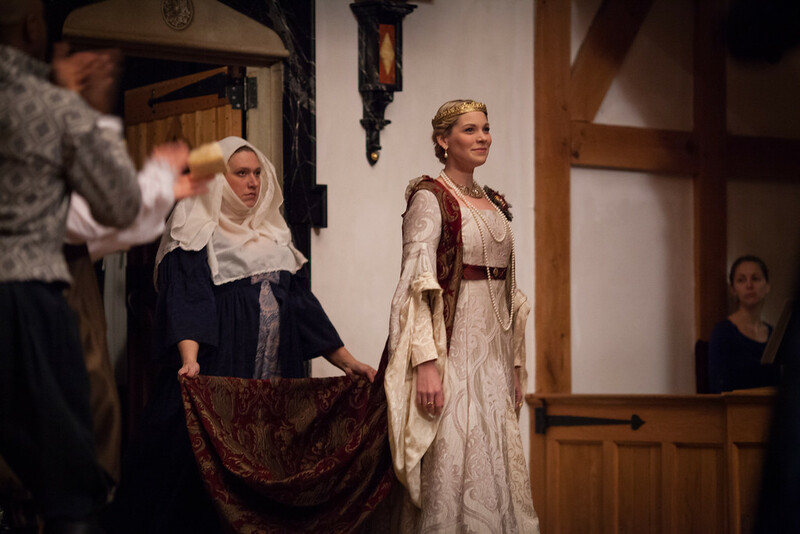 Abbi Hawk and Sarah Fallon in HENRY VIII. Photo by LAUREN D. ROGERS. 2013. 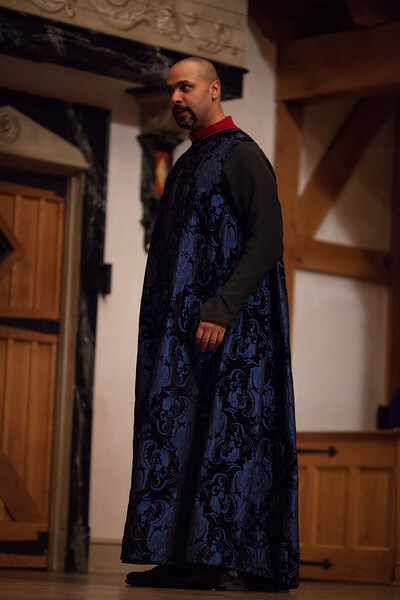 René Thornton, Jr. in HENRY VIII. Photo by LAUREN D. ROGERS. 2013. 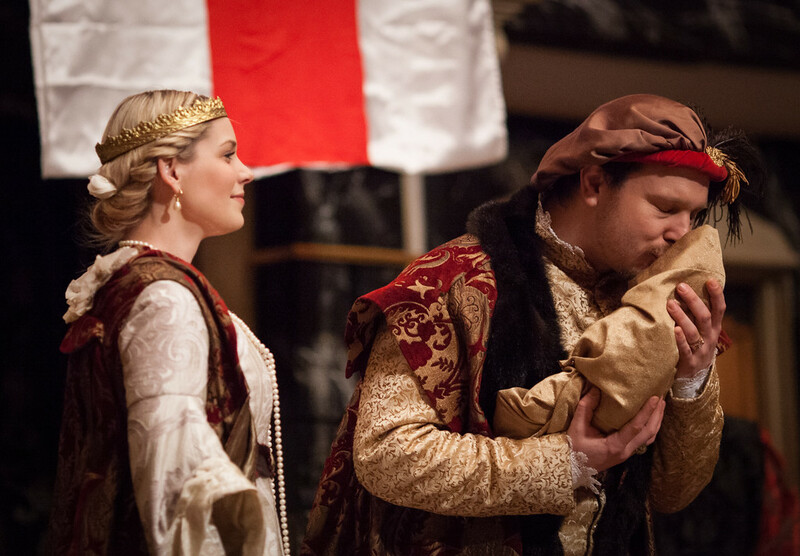 Tracie Thomason and Benjamin Curns in HENRY VIII. Photo by LAUREN D. ROGERS. 2013. The cast of HENRY VIII. Photo by LAUREN D. ROGERS. 2013. 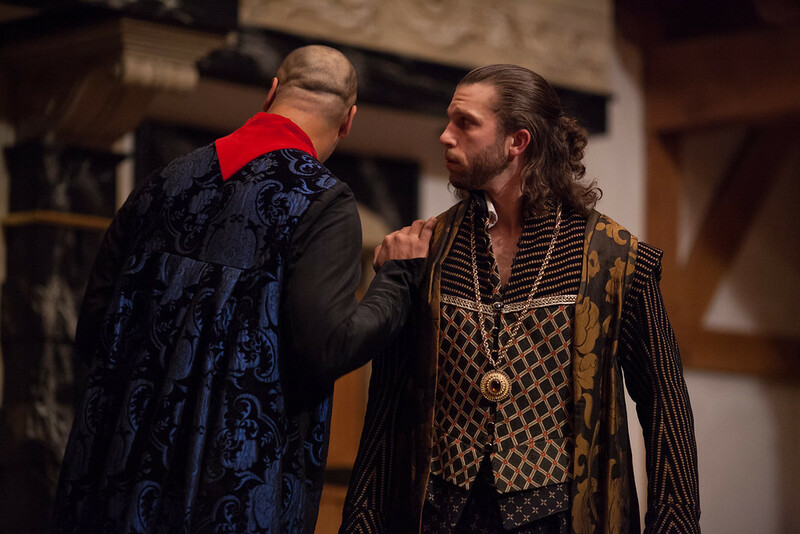 René Thornton, Jr. and Gregory Jon Phelps in HENRY VIII. Photo by LAUREN D. ROGERS. 2013. 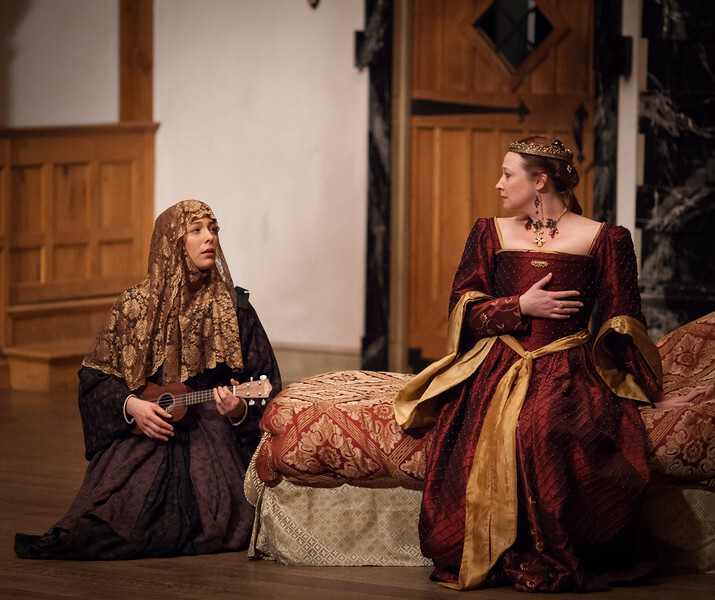 Sarah Fallon and Abbi Hawk in HENRY VIII. Photo by LAUREN D. ROGERS. 2013. 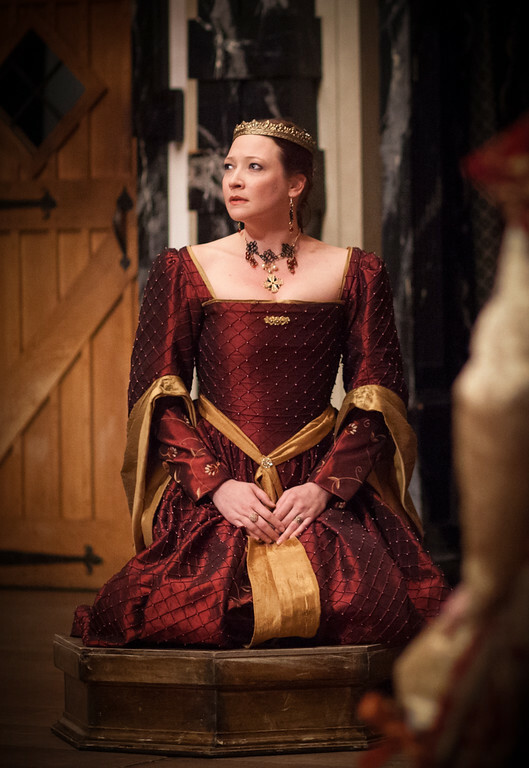 Sarah Fallon in HENRY VIII. Photo by LAUREN D. ROGERS. 2013. The Wars of the Roses (or, all of Shakespeare’s Histories). King Henry VII’s oldest son, Arthur, marries Katharine of Aragon. King Henry VII dies and his second son is crowned King Henry VIII. In accordance to custom, the new king marries his late brother’s wife, making Katharine of Aragon his queen. The Duke of Norfolk describes to the Duke of Buckingham the grandiose pomp and ceremony of a recent diplomatic meeting between Henry VIII and the King of France, all of it designed by Cardinal Wolsey to further his influence over the King. Norfolk reveals that the diplomatic meeting has failed and that the French have seized English goods at Bordeaux. Wolsey and Buckingham exchange disdainful looks and Wolsey departs to complain about Buckingham to the King. Buckingham claims to Norfolk that he has proof of Wolsey’s treason against England and argues that King Henry should be warned. Wolsey has Buckingham arrested and taken to the Tower of London on trumped up charges. Queen Katharine interrupts a meeting between King Henry and Cardinal Wolsey to intercede on the behalf of over-taxed merchants. Wolsey proclaims ignorance of any problems regarding the taxation system. Henry orders a remittance of a portion of the taxes and Wolsey puts out the rumor that the remittance was at his own suggestion. Katharine protests the Duke of Buckingham’s arrest; but, the purchased testimony from Buckingham’s surveyor convinces Henry to put him on trial for treason. Cardinal Wolsey hosts a dinner at his palace. 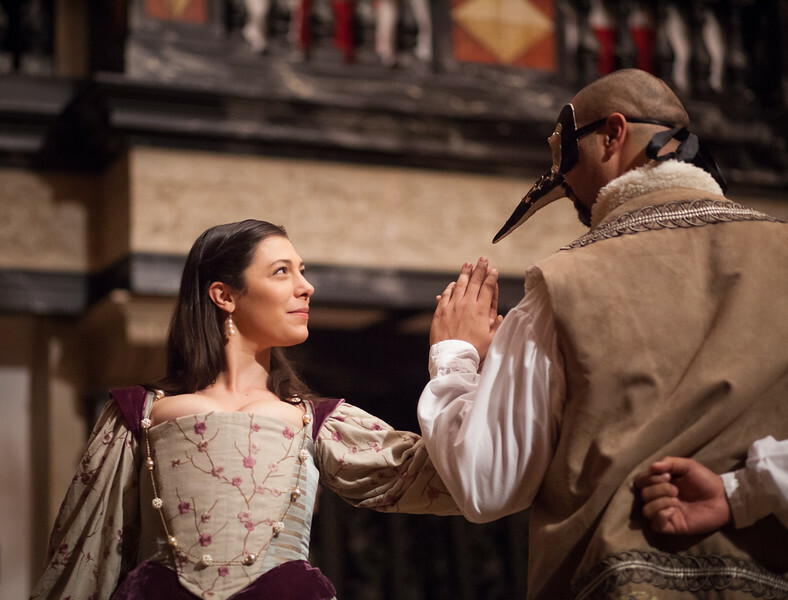 King Henry arrives, masqued, and dances with Anne Bullen. Two gentlemen gossip about the Duke of Buckingham and Cardinal Wolsey. Buckingham, under guard, passes by and denies his guilt to the gathered citizens. The gentlemen resume their gossip, now about the rumored separation of the King and Queen. 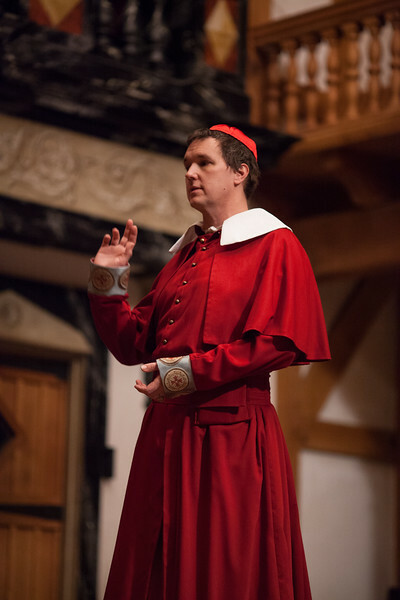 Cardinal Wolsey begins to plot against Queen Katharine by bringing a papal legate to the Court to investigate the validity of the royal marriage. King Henry makes Anne Bullen the Marchioness of Pembroke, officially revealing his favor toward her. 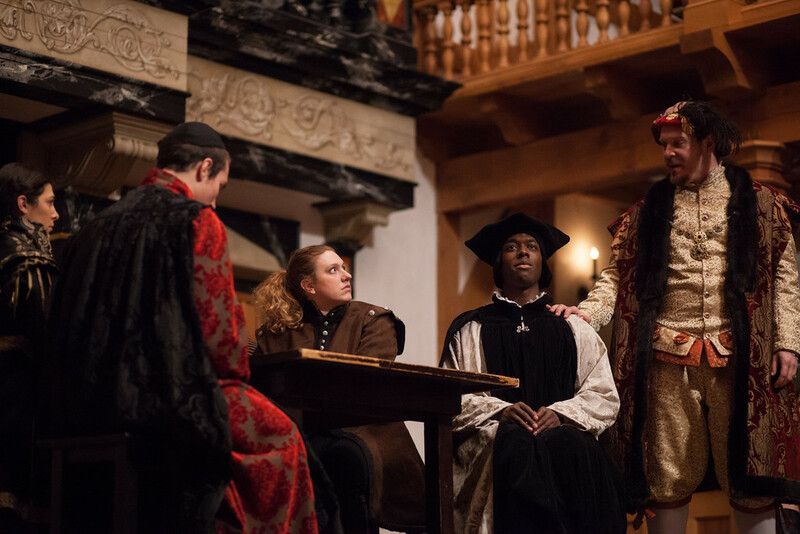 At Blackfriars Hall (which will, in a century’s time, become the Blackfriars Playhouse), the trial of Katharine of Aragon commences. Machinations, divorce, double dealing, pageantry, coronation, visions, and the birth of England’s Golden Age ensue. The first recorded performance of Henry VIII, Or All is True was in 1613 when the play literally brought down the house when a spark ignited the thatch roof of the Globe and burned it to the ground. It makes economic sense to assume the play opened at the Blackfriars Playhouse because 84 years earlier Henry VIII divorced Katharine of Aragon in a trial at the Blackfriars, and Shakespeare’s company would have wanted to stage the most important break-up in English history in the very building where it had taken place – Marketing 101. At the end. Shakespeare, in semi-retirement in Stratford, collaborated on the play with John Fletcher, who succeeded Shakespeare as the company’s playwright. 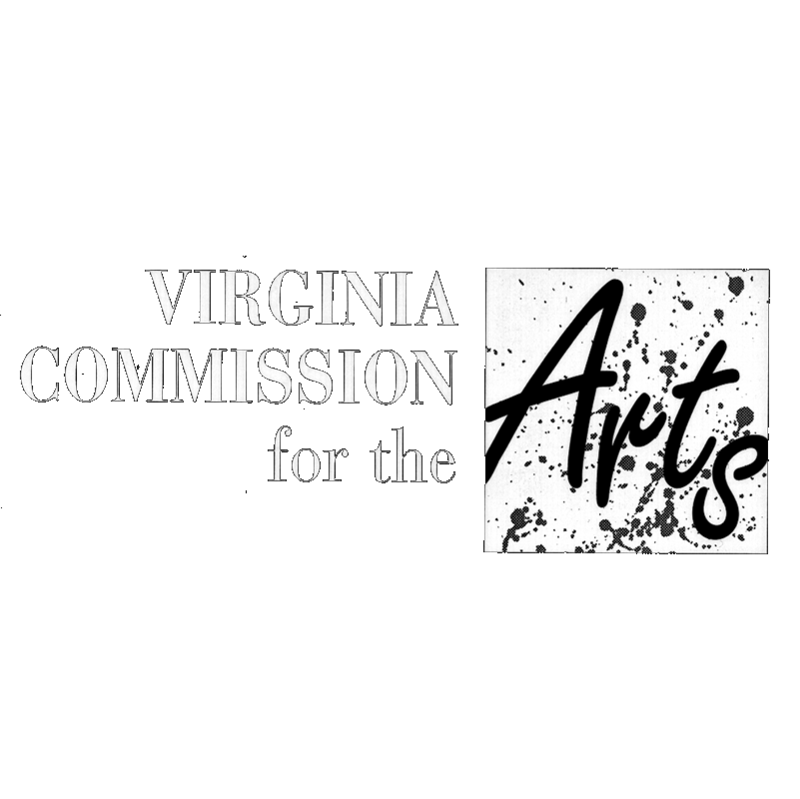 Shakespeare wrote ten plays about English history, and with this production the ASC has now staged all of them. All of his history plays see a pattern – providential or ironically cyclical – in the story of the English kings. And then there’s Katherine, another of Shakespeare’s strong women. More spectacle, less scandal. Shakespeare and Fletcher needed to worry about how King James I and his court would feel about their play. Show too much sympathy for the Catholic Katherine and they offend the reformists around James; show too little and they offend the King’s high church advisors. As a result, the play deals delicately with the peccadilloes of Henry VIII and – uncharacteristically for Shakespeare – makes him smaller not larger than life.  They admire it for its navigation of the politics of the period. Because of its subject mater and its spectacle, the play was more popular in the 19th century than in the 20th, but interest in the play has revived with the Royal Shakespeare Company’s 1996 production, and in the last three years there have been successful productions at the Globe and the Folger. Scholars have spent some time trying to work out which parts Shakespeare wrote and which parts Fletcher. The trial at the Blackfriars, of course. Abundant. Sometimes business-like (perhaps a trifle clerical) and sometimes playful.